A most wanted man in Sta. Mesa, Manila tagged as principal suspect in a murder case was arrested on Thursday night by policemen from Manila Police District (MPD) Station 8. Police identified the suspect as Ryan Apilado, 21, who is a resident of Aciete Extension, Nagtahan in Sta. Mesa, Manila. Last March 30, 2016, an arrest warrant was issued against Apilado by Judge Merianthe Pacita Zuraek of Manila Regional Trial Court Branch 51 for his frustrated murder case. On Thursday, an informant told police that Apilado was seen in a basketball court at the back of Barangay 636 in Sta. Mesa. The Intelligence and Warrant operatives of Sta. Mesa Police Station 8 then conducted a surveillance operation near the area to track the suspect. 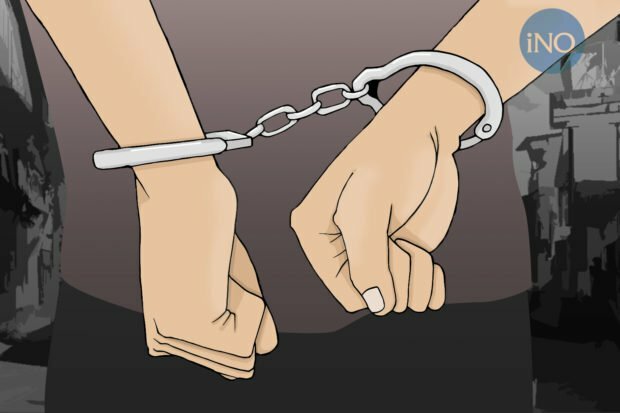 At 5:40 p.m. on the same date, an arrest operation was launched after the informant positively identified the presence of Apilado in the barangay. After his arrest, Apilado was then brought to Ospital ng Sampaloc in Manila for the mandatory medical examination.